(NaturalNews) Finally, the Obama Administration has set upon a reason to secure the U.S. border with Mexico. Sadly, it has nothing to do with mass illegal immigration. As reported by Bloomberg News, the call to action was caused by tainted herb: Cilantro, some of which is being banned after U.S. health officials discovered human feces and toilet paper in growing fields. The herbs there have been linked to scores of intestinal illnesses in Americans since 2012. The Food and Drug Administration will detain Mexican cilantro at the border from April to August and won't allow products from the state of Puebla, Mexico, into the U.S. without inspections and certification, according to an import ban dated [July 27] by the agency. Cilantro from other parts of Mexico will need documentation to prove the product isn't from Puebla, about a two-hour drive southeast of Mexico City. The tainted herb has been linked to outbreaks of cyclosporiasis, the FDA alert states. In 2014, more than 300 people in the United States were afflicted by the parasitic illness, which is responsible for causing diarrhea and explosive bowel movements, the Centers for Disease Control and Prevention stated. American restaurant chains and companies that utilize cilantro have said they are not anticipating being negatively impacted by the U.S. government's partial ban. Chipotle Mexican Grill Inc., the fast-food, casual burrito chain that recently decided to shun genetically modified foods at its restaurants, uses the herb in its guacamole, rice and corn salsa. But officials said the chain only uses cilantro from California. "We're not getting any cilantro from Puebla (or anywhere else in Mexico) right now, so there is no impact on us," Chris Arnold, a Chipotle spokesman, told Bloomberg News in an e-mail. In addition other fast-food chains like Taco Bell get their cilantro from California as well. Taco Bell uses the herb in its pico de gallo, guacamole, salsa and Latin rice, according to the chain's website. The problem of tainted cilantro is due in large part to lower standards south of the border. Since 2013, Bloomberg reported, Mexican authorities, along with those from the U.S. FDA, have inspected 11 farms and packing plants in Puebla that produce cilantro. At eight of them, officials found that there were bathrooms that did not have any soap, toilet paper or even running water. Also, human feces was found in the growing fields, along with toilet paper. Some packing houses had no toilet facilities whatsoever. "Based on those joint investigations, FDA considers that the most likely routes of contamination of fresh cilantro are contact with the parasite shed from the intestinal tract of humans affecting the growing fields, harvesting, processing or packing activities or contamination with the parasite through contaminated irrigation water, contaminated crop protectant sprays, or contaminated wash waters," the agency's health alert said. 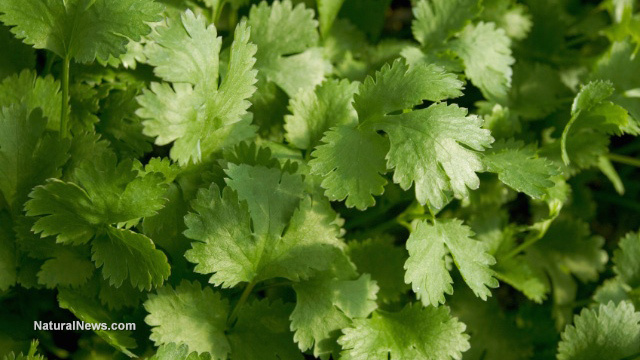 In order for the ban to be lifted, Puebla cilantro suppliers are going to have to demonstrate to U.S. and Mexican health officials that they have adopted health and sanitation practices that eliminate the unsafe conditions. Last year a cyclosporiasis outbreak affected 19 states, but 64 percent of cases were reported in Texas alone. There, 57 percent were sickened after eating fresh cilantro. Most of those were stricken by the illness in June and July. There were no reported deaths, the CDC alert said, but seven people were sickened enough to be hospitalized. Last year, the FDA increased sampling on cilantro from Puebla farms. Texas health officials are investigating a cyclosporiasis outbreak this year that may be linked to cilantro from Puebla as well. The Texas Department of State Health Services has received reports of 205 cyclosporiasis cases this year. The Obama Administration is responsible for a health crisis in the U.S. itself – by turning the other way as tens of thousands of illegal immigrants have been breaking laws while sneaking into the U.S. According to the National Center for Policy Research, 2014's massive influx created "a health crisis" in the border region and beyond (that report is here).